We finished in fifth place, which was a great result to end an awesome leg. Of the boats carrying a VIP guest, we were victorious and we will certainly cherish this small victory. 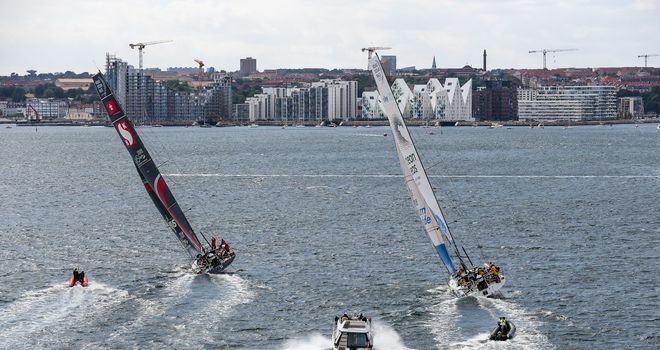 We witnessed Dongfeng win the Volvo Ocean Race in style, and, in a 'winner takes all' glory battle between three boats, the most consistent boat won. Well done to Charles Caudrelier and his team. It was a sad and brutal blow for MAPFRE who had been tough competition from the start but failed to hold on in the end. 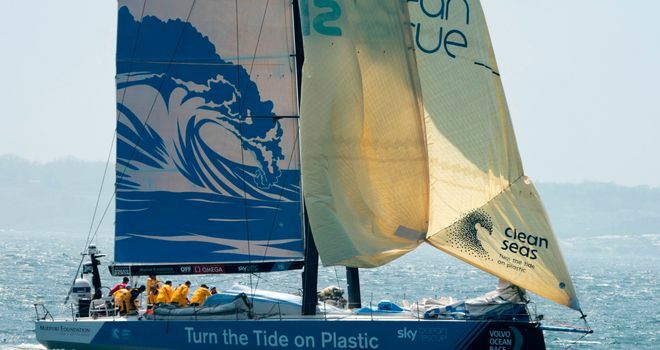 It was also a sad finish for Bouwe Bekking whose Team Brunel had come back with such strength from the halfway mark in the race with great speed and results. This was his eighth Volvo Ocean Race and sailing into his home port victorious would have been a fabulous end to the race, but sadly it was not to be. He was gracious in defeat and continues to inspire those around him. No doubt now he will just have to come back and do it all again! As for us, well we are now tied on the overall leaderboard with Scallywag and look to the in-port race scoreboard where we are three points adrift. Saturday (30 June) will be our final in-port race and we need to finish with two boats between us and Scallywag to lift ourselves off bottom position. Our team do like a challenge and we will do our level best to get the result I truly believe the crew of Turn the Tide on Plastic deserve. Everything will be crossed by our supporters and friends until the finish line appears and the result will be settled for the final time in this edition of the Volvo Ocean Race.